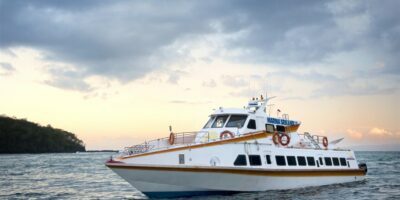 Sindex (Acronym for Sindu Express) Fast Boat has a route crossing from Bali Padang bai to Senggigi, Gili Air and Gili Trawangan. It has excellent facilities, especially the spacious cabin so passengers will feel very comfortable while in the ship. 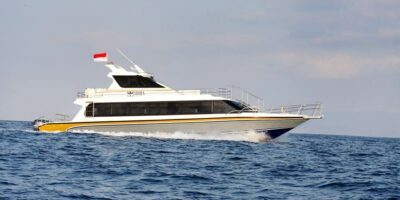 Sindex Fast Boat is recommended for those of you who want a vacation to Lombok or to Gili Trawangan from Bali with a Premium Quick Ship but the price is practically very affordable. 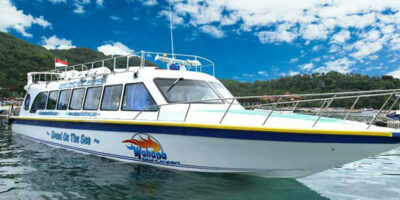 Wahana Gili Ocean offers the fastest transfer from Padangbai (Bali) to Lombok (Senggigi) and Gili Island.